You can usually tell when a film about Americans doesn’t feel as though it’s directed by one. If you watched Hacksaw Ridge, you could see that Mel Gibson gave the story of Desmond Doss a real perspective and a purpose. Despite the abundance of bloody war scenes, it wasn’t just about the war, but a philosophy on saving lives in a time of violence and how one person can do so much. This is not the case of 12 Strong, a film that seems more concerned with staging cool shots of soldiers on horses than taking in the more personal aspects of such an operation. It’s not that the declassified story of twelve soldiers leading the Northern Alliance against the well-armed Taliban in record time isn’t worth telling. And, yet, Danish director Nicolai Fuglsig approaches this material with a distancing from the soldiers, either fearful or not interested in deeper exploring the men that led this assault. The leader of the dozen Americans is Captain Mitch Nelson, played by Chris Hemsworth as your all-American soldier with a wife and child. His team was at one time dissolved and he was given desk duty, but when the September 11th attacks occurred, he answers the call to reassemble his team. His band of brothers are played by the likes of Michael Shannon and Michael Peña but don’t expect to get much out of them passed the usual military order shouting and goofing around. The film takes two very impersonal routes with the story. The first half reserves to keeping this operation very analytical and focused on the specifics of this campaign. 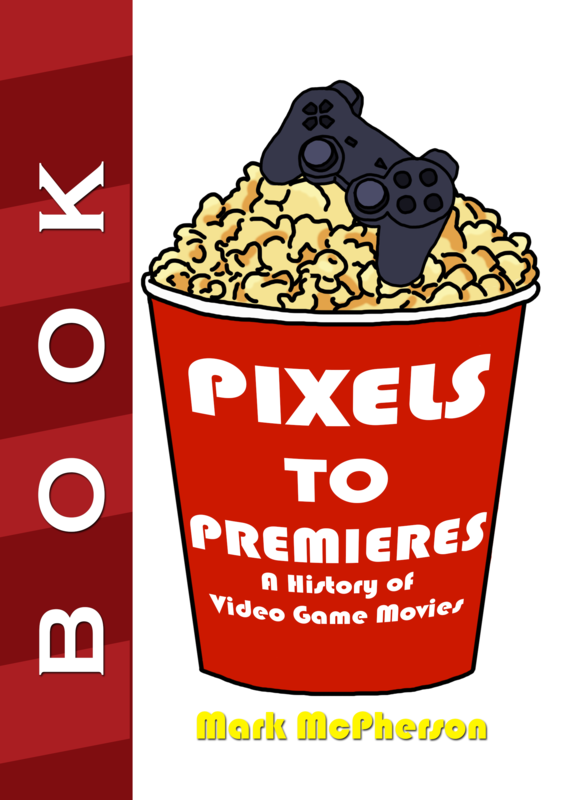 We’re overloaded with exposition titles, footage of military gear being strapped on, typical joking banter between the men, and establishing pressures of working with the Northern Alliance. Nelson meets with Alliance leader General Abdul Rashid Dostum and they only have two types of conversations with either discussing military strategy or bickering over what it means to be a soldier. This would be fine if their discussions weren’t built on such cliche lines of the warrior’s creed for fighting more with your heart than your head. The second tone reserved almost entirely for the final act is that of big, loud, and bombastically violent war scenes. In the first airstrike on Taliban forces, it’s amazing to watch the wide shots of explosions from a distance. Once we get into the fights, however, it’s exactly what you’d expect from a chaotic battle sequence. Bullets zing past soldiers, shells from tanks cause eruptions in the mountains, the camera bobs and weaves through the action, the body count rises, and the blood is some of the worst computer-animated splurts I’ve seen in quite some time. 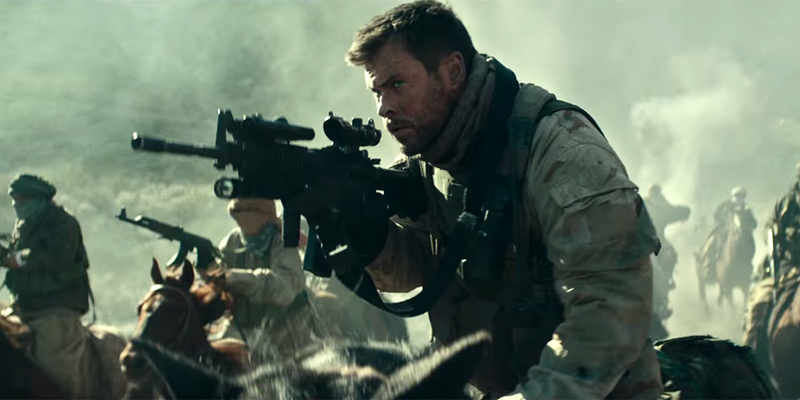 These scenes would be forgivable if they packed a little more than adrenaline in their punch, but the bulk of the entertainment seems to come from Chris Hemsworth riding a horse and shooting a rifle at terrorists. The addition of a grinding guitar to the soundtrack doesn’t help with shaking the notion that this isn’t a Mountain Dew commercial. There’s an awkward feeling I had when watching 12 Strong that maybe this was an inappropriate way to take this story. On one level, the film works as a simplistic action film for its massive scale and breakneck violence of horsebound heroes barrelling towards a missile launcher chucking missiles over their heads. On another level, these were real soldiers that put their lives on the lines and many people died during this operation. There’s one particularly nasty moment of showcasing a Taliban leader shooting a mother in front of her kids, building him up as the villain so his death of being trapped in a stalled car and shot seems clap-worthy. But was it? I watched this film at a screening with a collective of veterans and serviceman, most of which will applaud these true-life movies by the time they get to the epilogue on the events. I didn’t hear any clapping by the end of this film, leading me to believe they were either overwhelmed with emotion or dismayed by the film. I stuck around to hear their reactions and one veteran stated: “It was okay; not very good, but it’s a story that should be told.” Well, it was already told in a book of this declassified mission. I haven’t read the book, but I’m willing to bet it’s more powerful than slow-mo explosions and personality-free war movie tropes.